Lewis Barnavelt is back! And this time, our lovable underdog/hero has stumbled upon something more powerful than even his overactive imagination can dream up. A camping trip with his Scout troop leads Lewis straight to an old grave and a mysterious, magical whistle. When Lewis discovers that this whistle has the power to stop the boys who insist upon bullying him, he is left with a tough decision. Does he continue to use the whistle, which he suspects might not be fully benign? Is Lewis strong enough to face the potent spirit that he is unknowingly summoning? 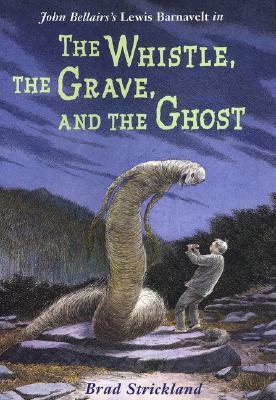 Brad Strickland continues to attract readers to the best-selling series begun by the late John Bellairs. Fans of the series will delight in the familiar cast of Lewis, his uncle Jonathan, and best friend Rose Rita Pottinger. Those new to the books will be lured in by the masterfully written supernatural elements and hair-raising situations.